After the fiftieth anniversary celebrations of SAA in 1984, the Ju 52 kept on flying on an informal basis, first in the experimental category, registered ZS-UYU which was painted under the left wing, until it had accumulated 500 hours, where after the South African Civil Aviation Authority awarded it with its full C of A (Certificate of Airworthiness) allowing it to carry fare paying passengers. Flipping and the occasional charter flight, mainly for the Swiss market, kept it flying, but hardly enough to pay its own way. Up to 1988, the Ju 52 operation was the responsibility of the Airbus A300 Fleet Captain, Captain Francois Potgieter. When he moved from A300's to the B747, Captain Mitchell appointed Captain Flippie Vermeulen, the then Fleet Captain on B737 to take over the Ju 52 operation. It was not long before Captain Flippie Vermeulen realised that with the Gulf Crises taking its toll on the airline industry world-wide there was a serious threat to the Ju 52 operation, which could never sustain itself commercially. It was then that he decided to try and get a mandate from the SAA Executive management to formalise the Ju 52 operation in order to be able to utilise the marketing mechanism of SAA. The initial request for the formation of a profit centre within SAA to take care of the Ju 52 operation was made by Captain Vermeulen in the beginning of 1989 and the approval was eventually obtained on 23 November 1993, with Mr. Mike Myburgh as Chief Executive SAA. The request to the SAA Executive management was to approve the formation of the SAA Historic Flight as a profit centre within SAA to take care of the vintage aircraft operation. In the meantime Mr. Johann Prozesky had negotiated with the South African Air Force to obtain a Douglas DC-3 and a DC-4 as static examples of the former SAA types. Captain Vermeulen however decided that since the DC-3 and DC-4 still had some commercial potential, it would be a good idea to reintroduce them as flying aircraft into the newly formed entity, which was still awaiting approval from the SAA Executive management. In early 1993, the DC-3 ZS-BXF and on 5 April 1993 the DC-4 ZS-BMH were delivered to SAA at Jan Smuts Airport. Both aircraft had seen service with SAA before being disposed of to the SAAF. The SAAF agreed to deliver ZS-BMH to SAA with a fresh C of A after a C-check by Hunting Aviation at Rand Airport. This enabled Captain Vermeulen to introduce the DC-4 commercially, even before the SAA Historic Flight had been formally approved and without an operating budget. Mr. Danie Brits, the then Executive Manager of SAA Technical, played a major role in getting the DC-4 back onto the South African civil register especially since the SAA Historic Flight had not been formally approved at that point. On 8 April 1993, Captain Flippie Vermeulen, Captain Lorrie Raath and Flight Engineer Alf Mairs, left Johannesburg with ZS-BMH on its first commercial flight again. This Captain Flippie Vermeulen hoped would help to establish the SAA Historic Flight as a commercial venture which would be totally independent. The DC-3, ZS-BXF, needed a complete D-Check before it would be awarded a full C of A and it was only completed in late 1993 when Captain Brian Stableford took it on its first test flight. The SAA Historic Flight business expanded rapidly and soon requests were coming in from international companies such as Swiss Air who wanted to utilise a DC-4 to commemorate the 50th anniversary of their first Trans Atlantic flight in 1997. The SAA Historic Flight was contracted to do this and would need another DC-4 preferably one with long range tanks, which ZS-BMH did not have. Captain Flippie Vermeulen then negotiated the acquisition of the second DC-3, ZS-BXJ, as well as the second DC-4, ZS-AUB. ZS-AUB was originally operated by SAA. The DC-3, ZS-BXJ, had never seen service with SAA. On 16 December 1995 Captain Flippie Vermeulen, Captain Johan Dries and Flight Engineer Officer Alf Mairs did the delivery flight of ZS-AUB from Waterkloof to Jan Smuts, the aircraft was still in SAAF colours. The flight to Oshkosh in 1994 with ZS-BMH. Rounding Nord Kap in Norway, the northern most point of the European continent on 30 May 1996 with ZS-BMH. Four Atlantic crossings, in Swiss Air colours, in 1997 with ZS-AUB. Landing at Templehof Airport during the Berlin Airlift celebrations in August 1998 with ZS-BMH. Participating in numerous international air shows in the USA and Europe from 1994 and 2000, ZS-AUB and ZS-BMH. In 1999, Coleman Andrews, then the man at the helm of SAA, informed Captain Peter Cook, the then Executive Manager Flight Operations, that they (Coleman and his advisors), had decided that the SAA Historic Flight must be shut down and the assets must be disposed of. Captain Flippie Vermeulen then negotiated with the Board of Trustees of the Transnet Heritage Foundation to take over the assets of the SAA Historic Flight before Coleman Andrews could dispose of it, and thereby securing the future of the SAA Historic Flight. A new home had to be found for the new SA Historic Flight. (The Transnet Heritage Foundation had agreed to the new name SA rather than SAA Historic Flight since SAA was no longer willing to support it and the name SAA could not be used). Captain Flippie Vermeulen again came to the rescue by negotiating with the then Chief of the SA Air Force, General Hechter, to relocate the SA Historic Flight to Swartkop Air Force Base at Valhalla. The big move of the SA Historic Flight took place during the month of April 1999 with the help of a lot of volunteers from the SA Historic Flight as well as from the SAA Museum Society. Captain Flippie Vermeulen left the SA Historic Flight in October 2000 and returned to full time line flying on the B747, with SAA. 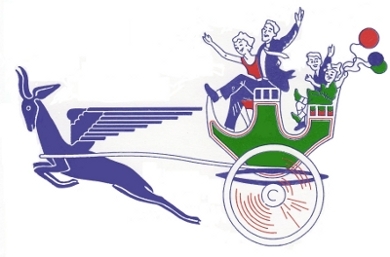 During the latter half of 2005 SA Historic Flight underwent some changes and the organisation ceased operating. Eventually in September 2006 it was announced that SA Historic Flight was to relocate from Johannesburg International Airport to Rand Airport in Germiston, and resume operations. On Monday 18 September 2006 the Skymaster aircraft, ZS-AUB and ZS-BMH were ferried to Rand. The DC-3 would follow shortly. The Junkers Ju 52/3m would remain at JIA in a hangar. Since those humble beginnings South African Historic Flight developed into a world-class vintage aircraft operation offering travellers the experience and romance of a bygone era of stylish air travel with a fleet of meticulously restored historic aircraft. This specialist vintage charter organisation takes one back in time to an era of stylish elegance and luxurious air travel. With low altitude daylight flights and superior service SA Historic Flight provide a unique en-route experience to places not normally accessible by schedule flights. Their highly experienced and dedicated flight crew pamper passengers during the entire duration of their trip. 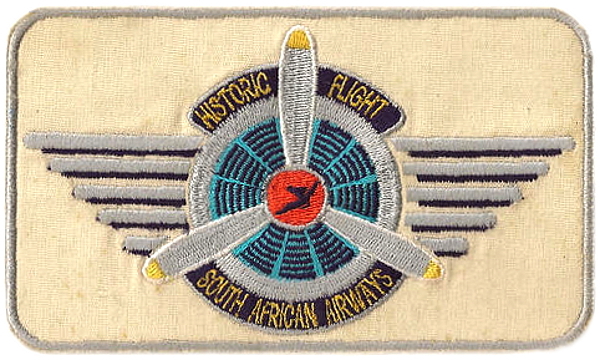 At the end of 2007 the entire asset base of the South African Historic Flight was donated to the South African Airways Museum Society. ZS-BXJ (2) was sold to Flippie Vermeulen. In December 2007 the SAA Museum Society entered into a lease agreement with Skyclass Aviation to operate the two DC-4s and the DC-3.